Code 2I077 Blush pink orgnaza custom wedding gown with strapless sweetheart neckline, ruched strapless bodice, dramatic flange skirt. 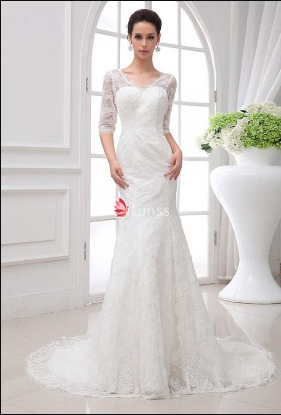 Code 2I208 Vintage ivory lace A-line wedding dress for casual destination wedding party. Scoop neckline contrast to scoop back, eye-catching black sash, long skirt, half sleeves, button back.